Nonprofit organizations attract workers who want to make the world a better place. One of the greatest sources of inspiration in my life is the passion of the people I get to work with in associations and chambers of commerce. As a creator and curator of marketing strategies and communications tactics, I’ve been perplexed by the amount of frustration felt by association staffers who work in the communications field. frustrated by the demands of a rudderless spam engine. Let’s take a step back from the tactical side of communications and look at the goals of effective two-way communications with your audience. Most associations have four key audience segments: members, sponsors/investors, policy-makers, and the public. Among these, the member segment is grossly overused and the others are underestimated. 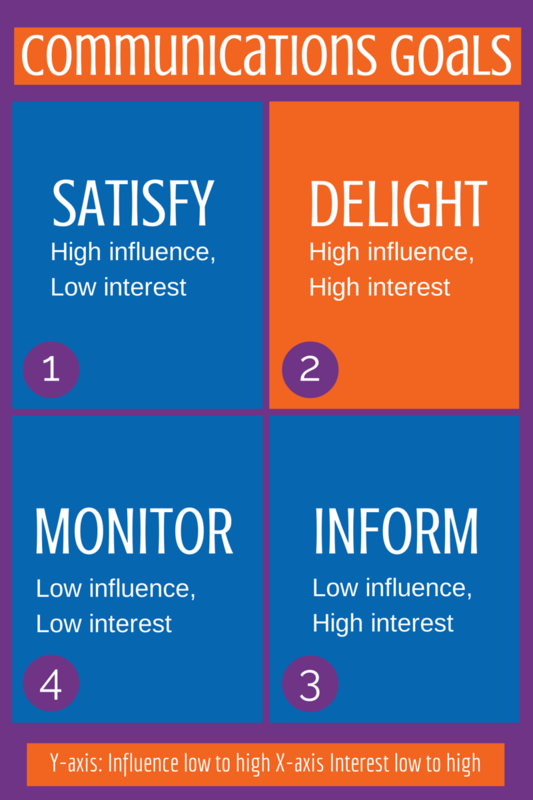 In the graphic below, audiences are segmented according to their influence on policy and resources as well as their interest in your organization. Combinations yield four different profiles, and a goal has been identified for each of them. Once you identify the players and their impact on your organization, you can match the tactics to the goals appropriately. Anything else is considered “shotgun.” No doubt you’ve become more effective with the shotgun, but it’s not the right communications weapon for the future. Today, your communications efficacy is more reliant on precision than volume. Delighting your stakeholders is a team effort. Managing the listening devices, tools and tactics for each of the other segments is up to your communications staff. If you don’t have one, consider contracting this function to a public relations firm or association management partner.